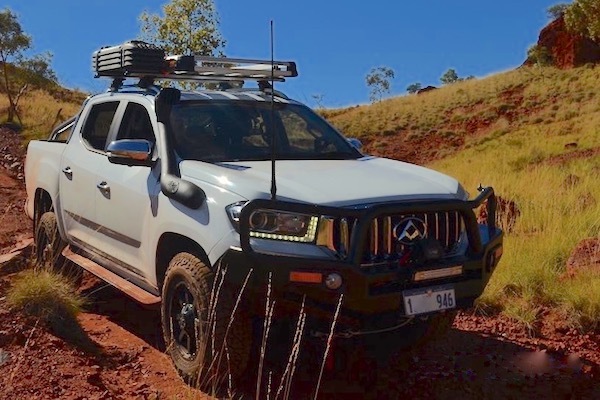 After six consecutive months of growth, The Australian new vehicle market now seems to be stuck in a negative spiral with July deliveries down a dismal 7.8% to 85.551 units. This marks the fourth decline in a row and, more worryingly, the largest year-on-year drop in over seven years, since June 2011 when Japanese imports were affected by the aftermath of the devastating earthquake that struck the country in March of that year. One possible explanation is the particularly advantageous end-of-financial year offers from last month that may have dried off the market somewhat. As a result year-to-date volumes are tilted into negative territory for the first time this year at -0.2% to 691.073 registrations, yet this is still the second largest 7 month-tally in history. For the first time in many years, SUV sales are actually in decline at -1% to 36.625 units but still see their share grow from 39.9% in July 2017 to 42.8% this month just as passenger cars implode at -20.2% to 28.547 and 33.4% share vs. 38.6% a year ago. Light commercials (mainly pickup trucks, nicknamed “utes” here, short for utilities) edge up 0.1% to 17.035 and 19.9% share vs. 18.3% a year ago. Year-to-date, SUV deliveries gain 9.1% to 295.133 and 42.7% share vs. 39.1% a year ago, passenger cars drop 12.5% to 232.897 and 33.7% share vs. 38.4% and light commercials gain 2.9% to 139.930 and 20.2% share vs. 19.6%. 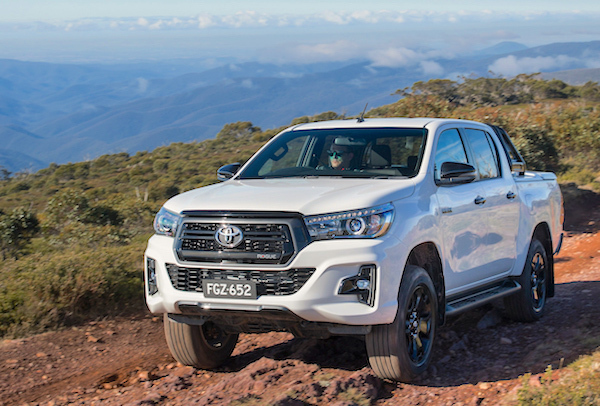 The Toyota Hilux is the best-selling vehicle in Australia for the 9th consecutive month. Interestingly, both private sales (-9.1% to 37.453) and business sales (-9% to 35.393) fall heavily this month, with rental sales (-4.8% to 6.433) faring better than the market and government sales (+0.3% to 2.928) edging into positive. The year-to-date picture is nothing like this, with rental sales surging 15% to 40.314, business sales up 2.4% to 284.923, government sales down 4.1% to 22.194 and private sales posting the weakest performance at -4.6% to 320.529 or 46.4% share vs. 48.5% over the same period a year ago. Looking at the country origin of the vehicles sold in Australia, Japan remains on top with 27.370 sales in July (-0.6%) followed by Thailand at 21.387 (-2.4%), South Korea at 11.864 (-13.1%), Germany at 6.967 (+6.5%), the U.S. at 3.362 (-16.5%), the UK at 2.565 (-18.9%), the Czech Republic at 1.512 (+88.8%), Spain at 1.187 (-12.4%) and China at 900 (+159.4%). Australian-made cars are logically dying off as local manufacturing ended in 2017, with only 65 vehicles sold this month (-98.7%). 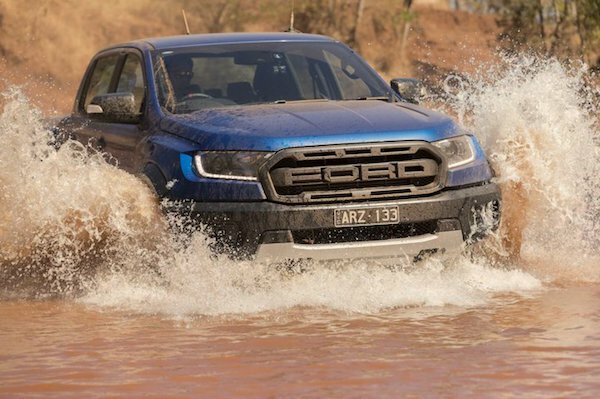 The Ford Ranger (-4%) will soon benefit from the much-awaited addition of the Raptor variant. Looking at the State by State detail, only Tasmania (1.457) is up year-on-year this month at +5.9%, with all others down by at least -5.8%, that’s for Queensland at 17.467. Victoria (24.921) is down 6.3%, Western Australia (6.966) is down 8.1%, New South Wales (27.675) is down 9.6%, South Australia (5.022) down 11.3%, the Australian Capital Territory (1.301) down 12.2% and the smallest Territory in Australia, the Northern Territory (742) copes the harshest drop at -18.8%. Thankfully the year-to-date situation is a lot better, with five out of eight States in positive, led by Tasmania again (10.726) at +4.2%, followed by Western Australia (57.146) at +2.4%, Victoria (199.007) at +2.1%, Queensland (140.857) at 1.6% and the Australian Capital Territory (10.990) at +0.4%. In contrast, South Australia (41.208) drops 1.5%, Northern Territory (6.593) is down 2.9% and the largest State in the country, New South Wales with Sydney as the capital (224.546), is hit the hardest at -3.6%. Finally, there were 54.141 new petrol registered in Australia in July, 30.429 diesels and 981 hybrids and electrics excluding Tesla who does not communicate sales figures for this country. LDV crosses the 500 monthly unit-mark thanks to the T60. Picture courtesy Hannes Viljoen. The top of the brands ranking is holding much better than the market as a whole: 7 of the Top 8 marques outpace the market starting with Toyota (-5.8%), Mazda (-6.4%) and Hyundai (-5.9%) all losing a little less ground on the podium while Mitsubishi (-1.9%) resists better at #4. Volkswagen (+4.7%), Nissan (+4.1%) and Kia (+3.2%) defy adverse conditions to lodge sweet YoY gains. There are some very bad news as well: Ford (-12.6%) whose Ranger – accounting for 54% of the brand’s July sales – cannot singlehandedly save, and a litany of premium players such as Land Rover (-36.8%), Audi (-36%), Porsche (-32.2%), Mini (-30.1%), BMW (-21.8%) or Mercedes (-13.4%). But the elephant in the room is once again local brand Holden – albeit pure importer since 2017 – disintegrating at -39.3%. 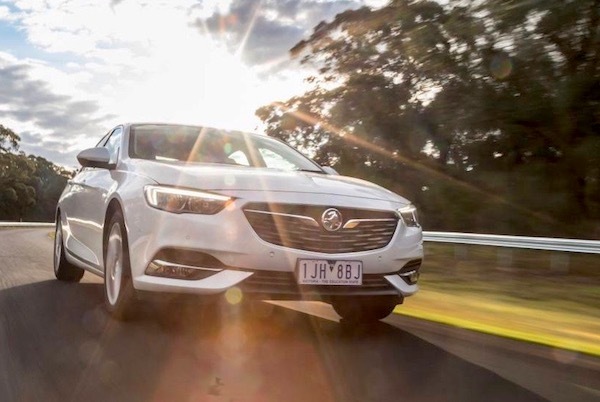 2018 is the year of hell for Holden, for the first time out of the monthly Top 5 and below 5% share in February (#8 and 4.9%), falling further in March (#10 and 4.8%), and hitting another two new lows this month at #9 with 3.927 sales and 4.6%, the carmaker’s lowest monthly volume and share in its entire history going back to 1948. Two Chinese lead the good news aisle with MG (+538.6%) and LDV (+146.9%) followed by Peugeot (+137.7%), Citroen (+117.4%), Great Wall (+96.4%), Lamborghini (+85.7%), Alfa Romeo (+39.4%), Volvo (+34.7%), Ram (+27.6%), Infiniti (+19.6%), Skoda (+18.3%), Ferrari (+16.7%), Isuzu Ute (+14.9%) and Jeep (+11%). 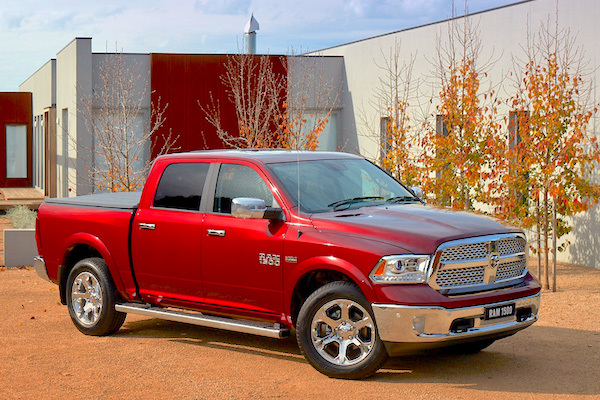 The Ram 1500 (previous model) has just been launched in Australia around AU$80.000. Over in the models charts, the Toyota Hilux (+0.1%) manages a 9th consecutive month in pole position thanks to stable sales flying in the face of the falling market and widening the gap with its archenemy the Ford Ranger (-4%) now up to over 5.000 units year-to-date. In the lucrative 4×4 ute segment, the Hilux (-5.1%) also edges past the Ranger (-1%) at 2.660 sales vs. 2.600 for the month. The automotive July event in Australia is the launch of the much-awaited Ranger Raptor lineup topper, that could boost the nameplate’s sales where it counts later in the year. Despite a steep drop the Toyota Corolla (-19%), now in runout mode ahead of the new generation release in August, remains the #1 passenger car in the country above the Mazda3 (-1%), Hyundai i30 (+3%) and a surprisingly dynamic VW Golf (+60%) up to #8, its highest monthly ranking in over two years (since April 2016 when it ranked #7). The Mazda CX-5 (-3%) easily remains the #1 SUV in Australia, one of four in the Top 10 alongside the Toyota RAV4 (+7%), Nissan X-Trail (+10%) and Hyundai Tucson (-13%). The Toyota C-HR (+79%), Honda CR-V (+32%), VW Amarok (+30%), Toyota Kluger (+27%), Land Cruiser Ute (+25%), Prado (+18%), Isuzu D-Max (+15%) and Nissan Navara (+12%) are the most dynamic in the Top 50. For the first time, the Mitsubishi Eclipse Cross (#41) is the most popular recent launch (<12 months), toppling the Hyundai Kona (#48) after 9 months of reign while the LDV T60 (#72), Mazda CX-8 (#79) and the MG ZS (#91) break their ranking record and we welcome the Ram 1500 Laramie in the charts at #229. Full July 2018 Top 50 All-brands and Top 285 All-models below.